When they get a new 3d printer, many people ask what should you 3d print first. Here are some standard test prints that people try first. These prints let you easily compare your prints against other people with the same machine, so if you run into issues, they can help. Or they just look good. Here are some things you can print first with your new 3d printer. One of the simplest items. You should be able to create this easily in any 3d modeling software package. If not, now’s your trial by fire. Make a 20mm cube, then measure it with calipers to see how close your software and printer setup got. If the sides have flaws in them, or you ended up with a bird’s nest of filament, adjust the parameters until you can get a reliable tiny cube. An extension of this is the essential calibration set. These are standard prints experienced people can eyeball and tell you what settings you need to change. If you’re not sure your print bed is completely level, try printing out a flat box only a layer thick that covers your entire printable surface. By looking at how the filament sets down along the entire surface, you can easily debug which corners need to be adjusted up and down. If you have adhesion problems, a flattened box can help you diagnose the next steps to take. Now that you have a 3d printer, make a tool with it. Find a bottle opener design or make one with your name on it. Bottle openers are easy to 3d print, since they’re usually flat. Have a celebratory beer that you pop open with your own 3d printed bottle opener. 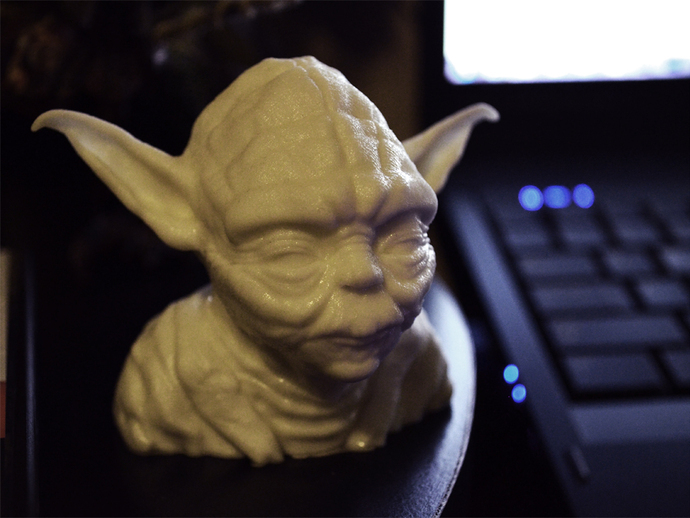 A standard beginner print for many people, a 3d printed bust of Yoda proves your geek credentials in multiple categories. The chin overhand can present issues. A standard 3d print, many people 3d print this, so you’ll be able to compare results against lots of other 3d printing enthusiasts. The feathers on the back present overhang issues, and the tiny nostril won’t show unless your printer has high enough resolution. Make magazine famously claimed the nostril should link through to the other side, and gave cudos to the one 3d printer that had linked nostrils. However, the nostrils should not link, and this would be a sign your slicer program isn’t working correctly. Your printer is almost guaranteed to mess something up with this test. The overhangs on the arch are difficult for 3d printers that aren’t precisely calibrated. Make Magazine used this in their 3d printer test , and twelve of the fifteen contenders had flawed or broken arches. Do a 3d scan of your face, with a kinect and ReconstructMe, or using photos with 123D Catch. Print out a tiny version of yourself to argue with. This is a more complex 3d print, that requires you to go through the entire 3d scanning to print workflow. 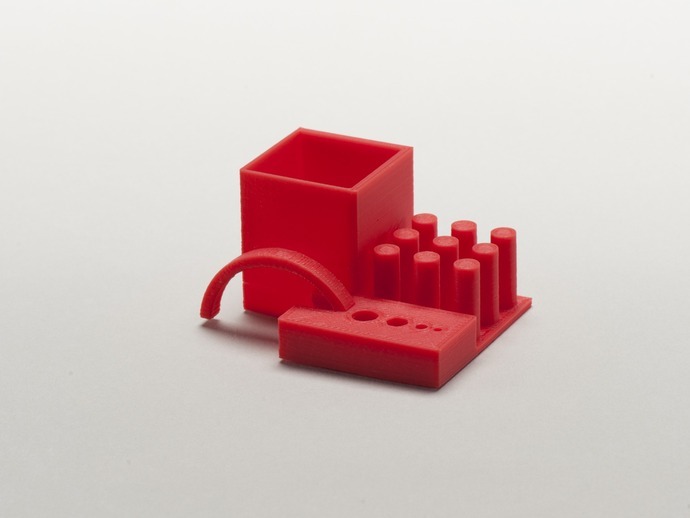 Find the spare parts for your machine on Thingiverse, and print them up. You never know when a piece might crack, or melt. This is an emerging market, and your 3d printer might have issues. Better to print replacement parts now before you have to order them. With Reprap, you can 3d print the major pieces of another 3d printer. You’ll just have to order the electronics and metal pieces. The ultimate test of a 3d printer is being able to 3d print another one and get it working. If you can do this, you join the ranks of 3d printing experts. What did you get the 3d printer to print? Toys? Print toys. Tools? Print Tools. Make models yourself, or download them from Thingiverse. When you’re starting, try to pick items people have printed before, so you don’t have to test whether the model is actually waterproof and whether it slices well. 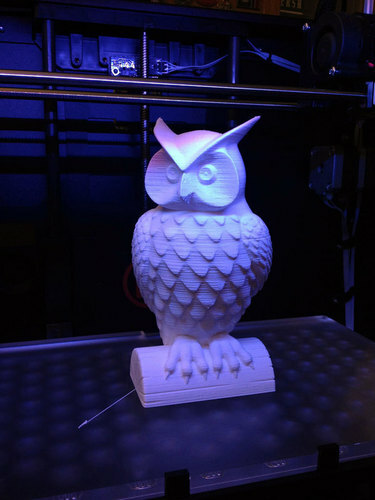 “What should I 3d Print?” What should you 3d print? These are some first print options, but in the end, you should print whatever you want to 3d print.